I’d never photographed a wedding at this venue, but I’d been looking forward to it for a long while. 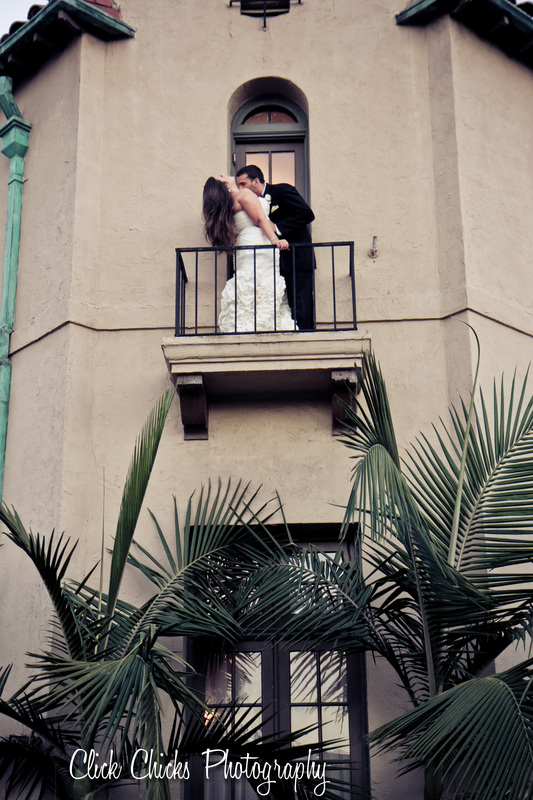 A beautiful, historic building in Long Beach, with a gorgeous exterior, balconies, and beautiful rooms inside. 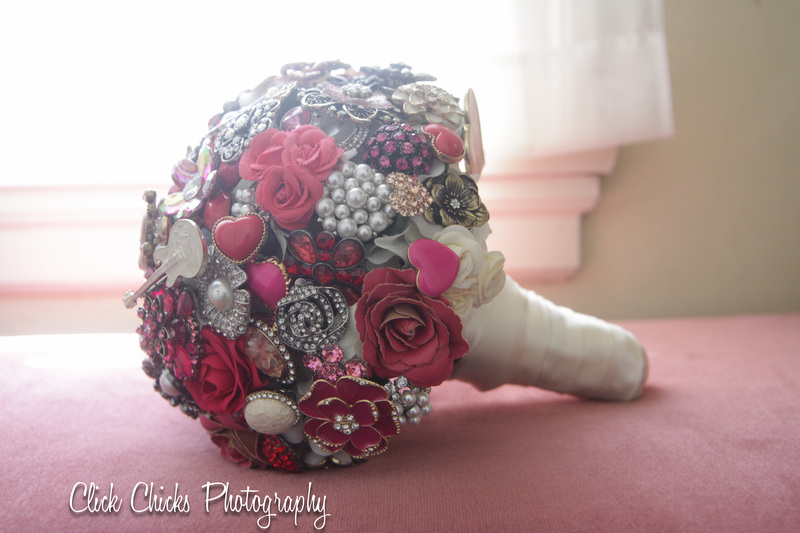 Christina is a very crafty girl, as evidenced by the amazing bouquet she made! I’ve seen examples online of brooch/pin/ring ‘flowers’, but never saw one in real life. All that metal makes for one heavy bouquet! But it you can buck up, it’s worth it. What a statement. 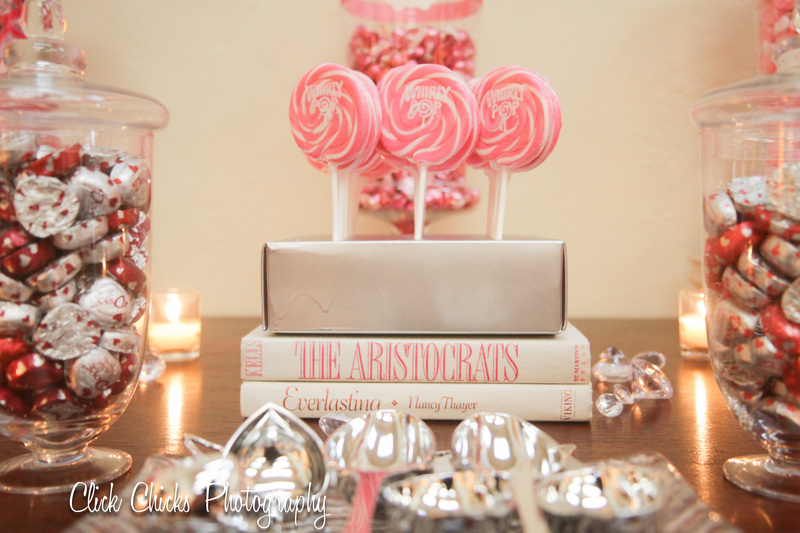 If you couldn’t tell, she loves pink, and the candy table was awash with the color, accented by vintage books with titles about love. All details covered. Stunning, yes? And you don’t need to spend lots of money on vintage jewelry. Christina used a combination of old, new, expensive and not-so. (Even Forever 21 pieces.) Gorgeous results. 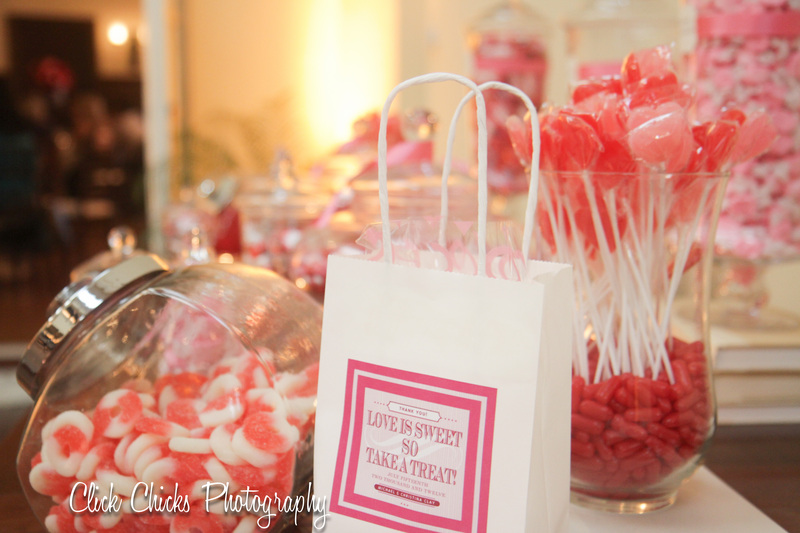 Set up for the dinner/reception. Love the extra tall windows. 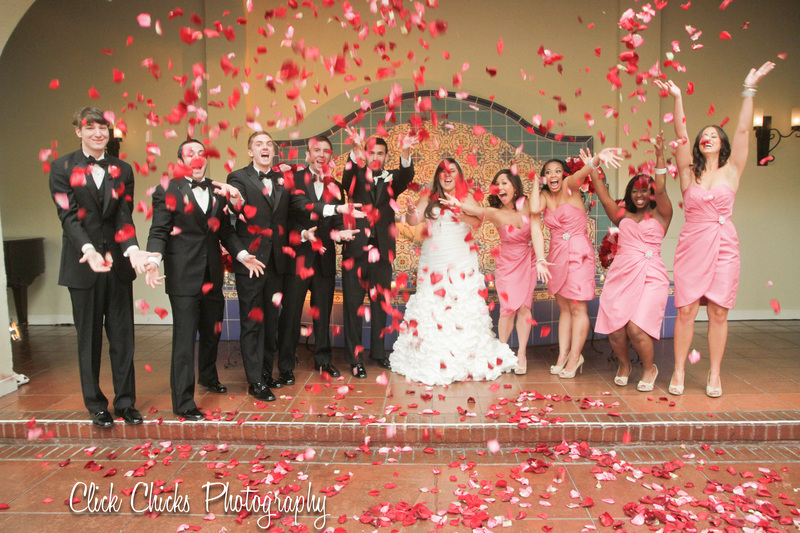 Couldn’t resist the petal toss! 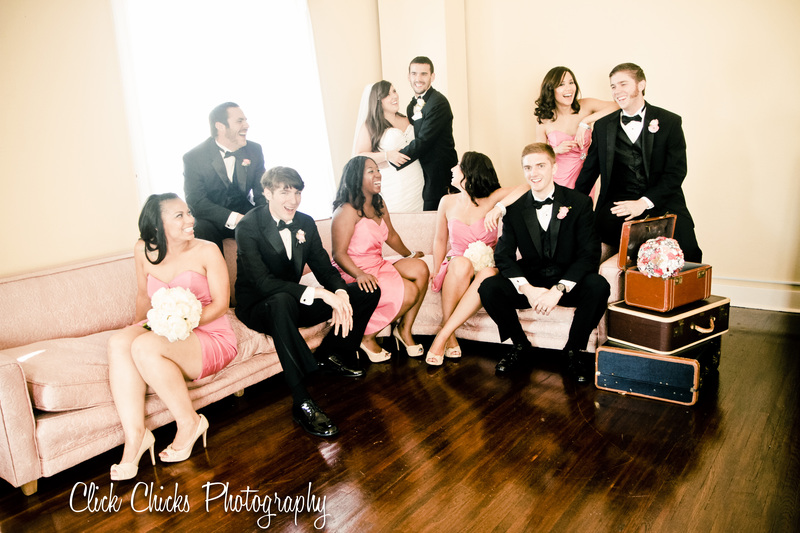 Love to do editorial-look shots with the bridal party. 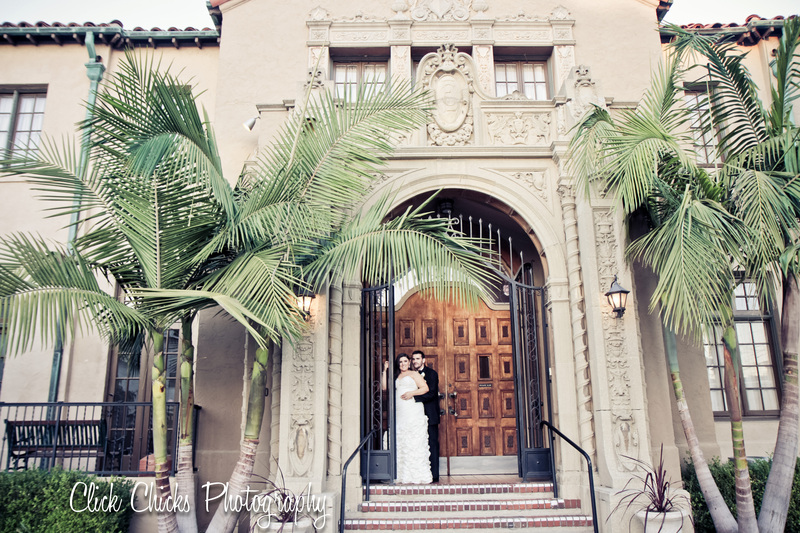 Beautiful facade on The Ebell. 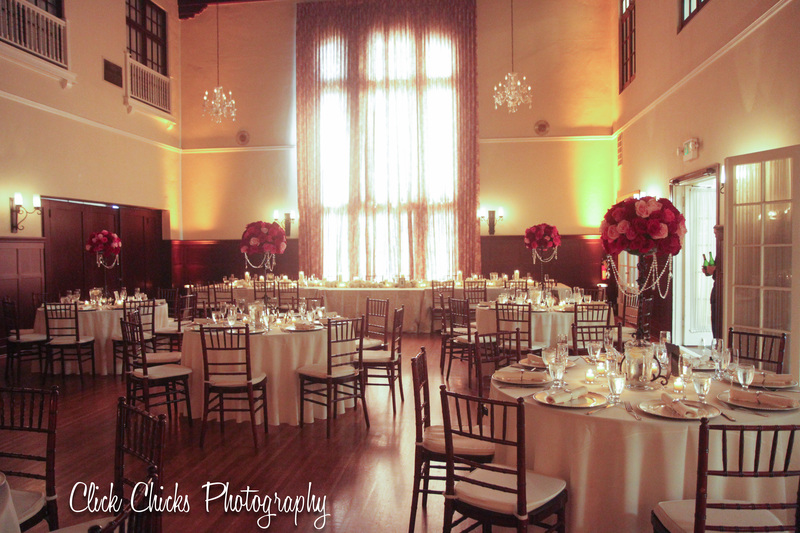 This entry was posted in Uncategorized and tagged Click Chicks Photography, Ebell Club Long Beach wedding photos, Ebell Club Long Beach weddings, Ebell Club Los Angeles, Ebell Club weddings, laguna beach wedding photographer, Laguna Beach wedding photography, Laguna Beach weddings, Leslie Cunningham, Orange County wedding photographer, Orange County wedding photography. ← Maria + Tony get married!